By Roger Bruce Lane, Ph.D. 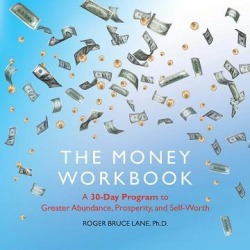 The Money Workbook takes you on a thirty-day exploration of your life and how you work it. Through text and exercises, Dr. Lane makes the reader aware of patterns and beliefs running through his/her life. By working the workbook each and every day for thirty days, the reader comes face-to-face with these truths and is then given many opportunities to decide how the reader would like his/her life to be and new approaches to take. The author educates-simply by text and/or exercises and without a lecture-how to create this life. This is a very powerful, no-nonsense guide that is very empowering yet is fun: an extremely unique combination. Roger Bruce Lane, Ph.D. is the Founder and Director of Cosmos Tree, Inc., a nonprofit educational foundation that gives people Tools to live in Peace regardless of the outer situation. The Center offers Classes, Workshops, Trainings, Publications, Audio and Video Tapes and DVDs and Meditations to assist individuals in transforming their innate potential into concrete reality. Dr. Lane is also the Founder and Director of the nonprofit organization the Center For Religion And Advanced Spiritual Studies, which is for those who wish to more seriously pursue a particularized Spiritual Education involving coming to know themSelves as Spirit.